Shopping for towels for your home can seem overwhelming as there are so many different kinds to choose from. You cannot judge a towel simply by the softness felt while shopping in the store. Lots of manufacturers add softeners to the finish so that the towel feels quite soft in the store but after a few washings that feel will all but wither away. For enduring softness, check the tag for 100% combed cotton. Cotton fibers can collect twice their weight in water. Combed cotton can prevent this by cutting the shorter thread to prevent piling. Make sure that whatever towels you purchase, the loops are thick and tight. The more dense the loops are, the more absorbent the towel will be. Monogrammed bath towelsA higher quality towel will be heavier than it appears making it more absorbent. The Pink Giraffe is proud to carry Milagro bath towels by Matouk. They are wonderfully soft, yet equally absorbent and keep their softness and shape with each and every wash cycle. Double turned edges and finished stitching is a sign of a high quality and luxurious bath towel. 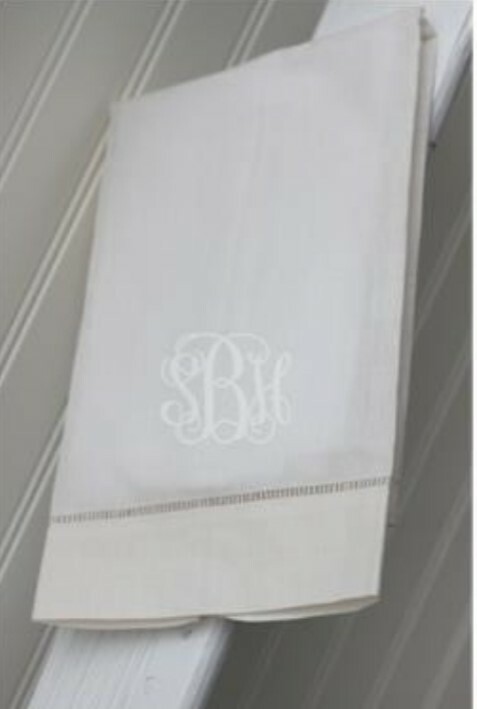 Monogrammed bath towels make for an excellent décor in the bath as well as being functional. Choose from an array of fonts and thread colors to match your color scheme. Many designers choose to incorporate the monograms in the bathroom into the bedroom as well with custom duvet covers and pillow shams. Custom personalized bath towels with matching guest and hand towel set complete with applique taped edging are a classic staple in finer homes across the South. A cherished tradition passed from one generation to the next, the addition of these fabulous hand towels can accent a simple bathroom instantly. Welcome your guests just like a quaint bed and breakfast would with custom embroidered shower wraps and bathrobes. Adorn them with the name of your beach house or lake home for a personal touch that will be the ultimate in comfort for your guests. Add some slippers or house shoes as well for a full ensemble. 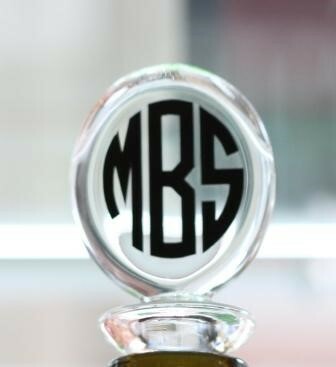 And if you are the one making the visit, don't forget to bring along a thoughtful hostess gift of a monogrammed guest towel in linen or terrycloth. Either one will be a favorite to accent the bath. Make sure to outfit your backyard pool with some custom designed monogrammed beach towels. Choose a color scheme and design all your own so that all of the towels around your pool stay together in one place. These custom towels make a great gift for anyone with a new pool or beach house. Design them with your family name, beach house name or just make one for everyone in your family. The design possibilities are endless.